Feel More Than Fine Always =Raising and Sustaining Vibration 24/7. Lisa Chadderton talks to Ibiza DJ, Producer and Holistic Life Coach Nikos Akrivos about the power of reiki and music and the significance of 21.12.2012. 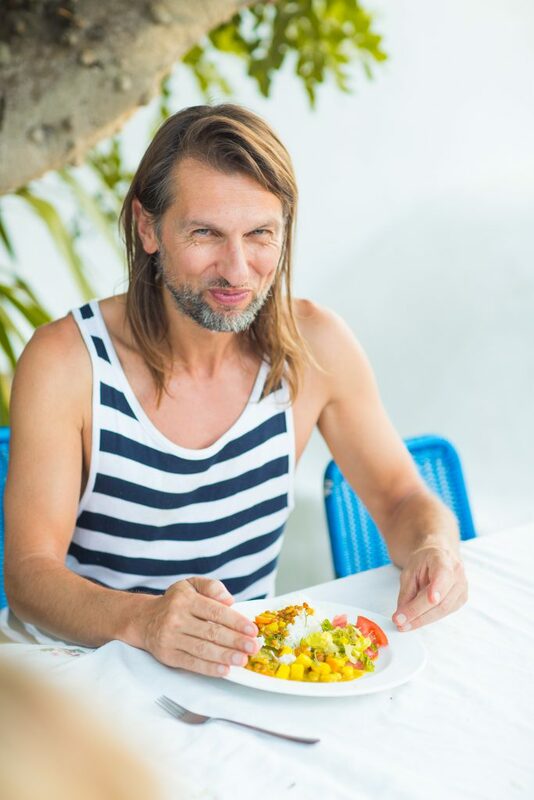 Greek native but true Ibiza spirit Nikos Akrivos is the creator of the ‘Feel More than Fine’ project – dedicating himself to helping others achieve happiness and raise their vibration. Amongst other things he hosts creative non-alcohol events incorporating fashion, music and feeling more than fine! He’s a well respected DJ, producer, dancer and fashion designer. A popular visitor to the Garden of Light Ibiza, he shares our passion for Reiki and for finding new ways to live in this exciting time. Nikos shared his views with us on all of these passions and of the significance of today’s date – 21st December 2012….enjoy! Reiki is channelling Universal Energy. When we practice Reiki, we become aware of the flow of energy in our body through our breath and we learn to channel it to our heart and from the heart to our hands. Like any meditative discipline, to really know how it works you have to practice long enough to feel it so you can believe it. We all have it in us and I was always a believer even when I was not feeling it. We are never alone, our Spiritual Guides, Angels, Jesus, Buddha, the Universe or name it how you like, are the ones who are doing the job. We just learn to be a channel. A very close friend suggested it to me and I tried it out. How has learning Reiki changed your life? I became aware of the importance of staying grounded and of self love. This brought an amazing series of synchronicities into my life, enough to know today that all I have to do is to surrender to it and to be present every moment with a big smile, as there is no reason to worry about anything. When any form of fear left the building (my body! ), there is only place for a more than fine lifestyle! What sort of effects do you see on clients that come to you for Reiki? I don’t like so much the term client, I prefer to say my brothers and sisters. The ones who experienced it usually come sad and leave with a smiling face and an open heart as a few “keys” are transfered to them through my being. When did you start incorporating Reiki into your DJing and why? I started with it a year ago as soon as I felt I had mastered Reiki, as I know that there are many lessons yet to be learned for the rest of my life. Music is the most powerful tool that can be used to help raise the vibration on a massive scale in the rapid process of evolution. I’ve been dreaming all my life to be able to help humanity reach the next level of evolution in a fun way. At the same time, I am aware that most of us have to go through suffering to get the beauty of what is really happening right now. My imagination has reached a level to believe today that when I DJ, I am truly helping people to be more aware of the amazing instrument they all have, their body-mind-spirit complex. With the use of only water and fruit juices we can get into an altered state of consciousness where we can discover who we really are in a natural way. This gives a great satisfaction to our being as we reconnect with our soul and we learn more from it every time the experience happens. This is actually the reason I became a DJ. How can music and sound heal? Music/sound is atoms travelling into the air to create a wave, like a wave in the sea, that will be captured by our ear to be heard and by our body to be felt. Atoms vibrating at a certain frequency reaching the atoms of our body to vibrate at the same frequency…if the frequency is right we have a pleasant warm feeling in our belly and that is already a sign that the music is “healing”. However, ”healing” is not a term I like to use as none of us are sick, we are just not aware of the changes that are taking place in our body right now in a geometrical speed as we arrive at the 21st December 2012. Today’s date is supposed to be the climax of this change that happens every 26,000 years, following the Mayan calendar and many other predictions that resonate as the truth in my heart. Generally all music is made with love, if the intention at the moment of creation is to “heal” it becomes healing. So it’s as simple as that! Please tell us about how you create your music so that it can have healing power and can you tell us a little about healing frequencies? I find my inspiration and ideas always by being in touch with nature and with the help of few good friends that are professionals in sound engineering and we find a way to agree with each other about the final product. My music has healing power because I believe, so for those who also believe…it will be so! There is a lot of work that has been done on it from scientists that test the reaction of frequencies on the DNA. There are two theories, one is talking about the 432 HZ frequencies and the other one about the love frequency, 528HZ. I’ve been testing both and to be honest I can’t really say something sure about it except from the fact that it has really helped me understand how vibration works in its core. I believe that they both work on differnent levels, one is for regenerating cells (528) and the other one (432) to help consciousness following the Fibonacci numbers in nature. What is the potential for DJs and Musicians to affect world change through music and performance? As soon as all musicians, performers and DJ’s understand the importance of taking care of their body-mind-spirit complexes and staying centred, when they play in an environment where the audience is being served what is truly healthy for them – the world can change for the better in only a few moments! It is a question of vibration, intention and awareness. Yes, everybody should know how to stay centered,grounded and clean the energy centres in the same way we brush our teeth and take a shower every day. What drew you to the island of Ibiza and how is living in Ibiza in 2012? I came to Ibiza 16 years ago performing as dancer in all of the main clubs for a few years. What drew me here was the love for expressing myself through electronic music, in an environement where I was not judged about my appearance. So FREEDOM , FREEDOM of EXPRESSION and MUSIC!!!!! I spent summer 2012 living at Camping La Playa in Es Canar, mainly helping people with Reiki and my knowledge, having a great time and DJing in few places, keeping in the back of my head that unconditional love knows no boundaries and the island embraced me as always! After 16 summers, it is Home to me, living in Ibiza in 2012 is more than fine! What things make you feel more than fine? Celebrating life, creating music and clothes, giving or receiving any kind of energy treatments and massage, making love, clowns and comedians, dancing and everything that brings a smile to your and my face! What does the 21st December 2012 mean to you? It’s good news! It marks the birth of the New Earth and the rebirth of humans from Homo Sapiens to Homo Consciousness. In a more scientific way, somewhere between 21st, 22nd and 23rd December 2012 our planet reaches its maximum vibration, a phenomenon that happens every +/- 26,000 years and has to do with huge quantity of light that left the centre of milky way long time ago. The rise of vibration has a positive effect on our body-mind-spirit complex we all need learn to be grounded and focus our intention to BE LOVE,BE PEACE,BE JOY in the present moment. We are in control of our reality and what we think will manifest now almost instantly as this is a result of our evolution as a species. To be grounded all we need to do is, from today and in the coming months, inhale and visualise energy coming from the centre of the Earth and from the centre of the Universe to our heart, feel the loving energy all around us and love ourself enough to become our own master, by focusing our intention on the things that makes us smile in our life which I call:Feel More Than Fine! How will you be spending this special day 21st December 2012? If you would like to check out Nikos’s ‘Feel More than Fine’ album it is available on band camp and on itunes. Cat Milton,Journalist on her article about my work. Blessings of peace, love,joy,well being and prosperity for the highest good for all!